Its business needs. After all, so many of FB's advertisers benefit from the hatred that's floating around (See those Muslims eating beef; bad Muslims; let me offer you some nice vegetarian pakodas instead – I am vegan myself but the identification of meat eating with one community is outright criminal). Its user needs. In India as in many other parts of the world, people are genuinely partisan. They want to share hateful messages because that's what they believe. Elections bring out that latent hatred even in those who are usually uncommitted. It's concern for privacy. Whatsapp is encrypted from end to end. How is FB even going to know what's being shared on Whatsapp? It can limit the number of shares but all that will do is to make the hate spewers hire more people to share their hatred. The sheer volume in so many languages. Algorithmic curation can only go so far. How will FB's AI figure out complex family dynamics where I can share a progressive message and get a negative response from an otherwise beloved uncle? I am convinced that this is how chaotic capitalism works but I am less interested in pointing fingers than in figuring out the underlying dynamics. We have almost reached a point of no return. 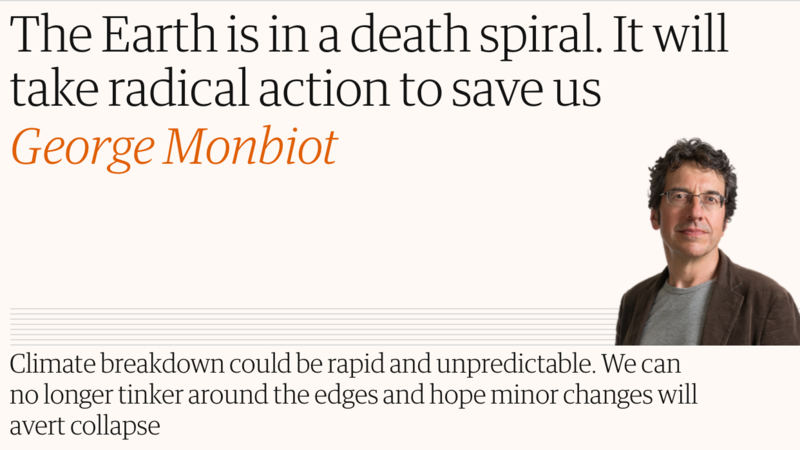 Brief comments on this article by George Monbiot. Even those who are aware of the emergency imposed by climate change underestimate the urgency. Let's take the most extreme responses that have been discussed so far. 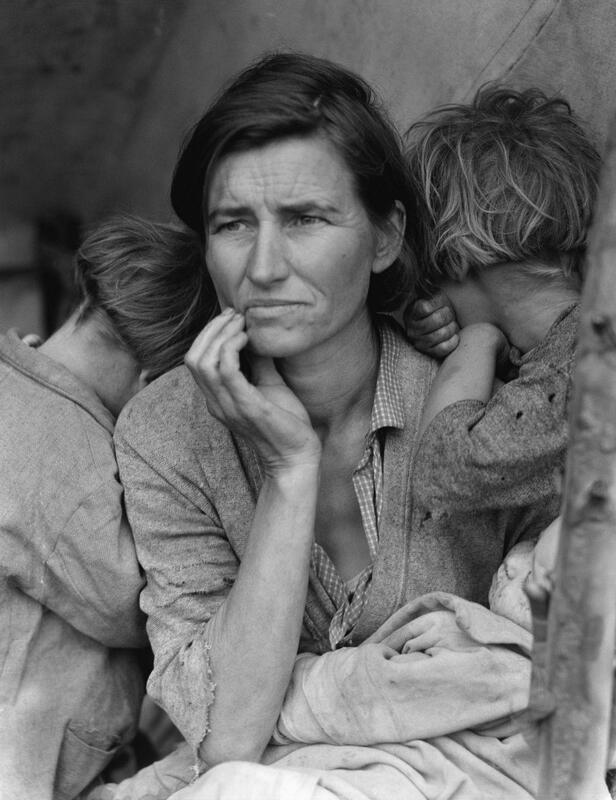 In the US there's talk of a green new deal or a world war II style mobilization against fascism. I don't think so. For one, such proposals are immediately followed by the mention of market forces and carbon taxes and how solar power is getting cheaper than coal and gas. I think those are false, even harmful framings of the challenge before us. Do we really think the complete overhaul of our way of life, the way we live and work, the way we move, the way we eat, the way we pray, the way we do everything is going to solved by a tax or limited state action? It's also not going to be solved by a “war effort.” Wars are limited mobilizations, both in space and in time. It took six years to defeat Hitler after which we went back to guzzling gas and minting widgets. In contrast, what we need is a permanent change from an extractive to a regenerative society. We can't just invest $30 Trillion in carbon sucking devices and pretend as if the rest of our way of being is adequate. Geoengineering is too small an ask, WW II style mobilization is too small an ask. Neither is asking us to change the underlying system that has brought us to this pass. What we need is a complete and total re-imagination of human life on this planet. 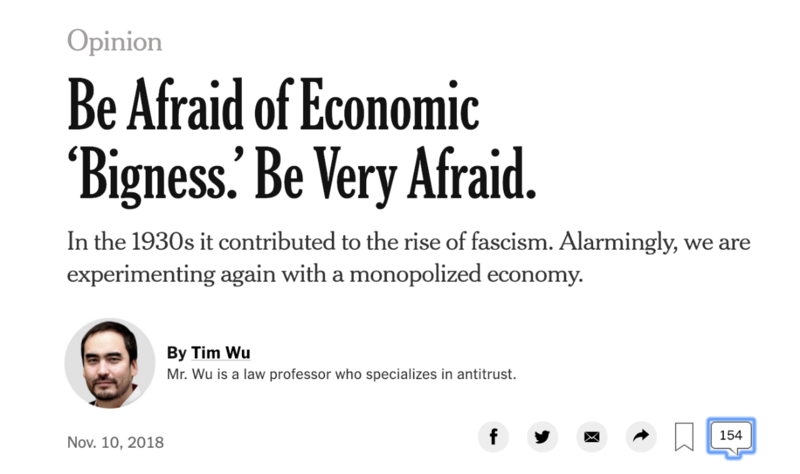 Brief comment on this NYT article by Tim Wu. This article reminds me of Peter Thiel's infamous claim that monopolies are preferable to competition. No wonder he supported Trump. We need to wean ourselves off their seductive gadgets and networks but I am not so sure where we are going to find the political will to do so. Part of the problem is that modern monopolies work – they are well designed, they are more efficient than the companies they supplant and they are more customer oriented than a grizzly mom and pop store. Who doesn't like their Amazon prime and who can live without Google? A monopoly such as Amazon is able to use its central role to bargain for lower prices for the customer – who cares if their employees faint from the heat in the warehouse? Another reason monopolies work is because it's easier for them to lobby for favorable policies; they don't need to worry about competitors with different priorities. 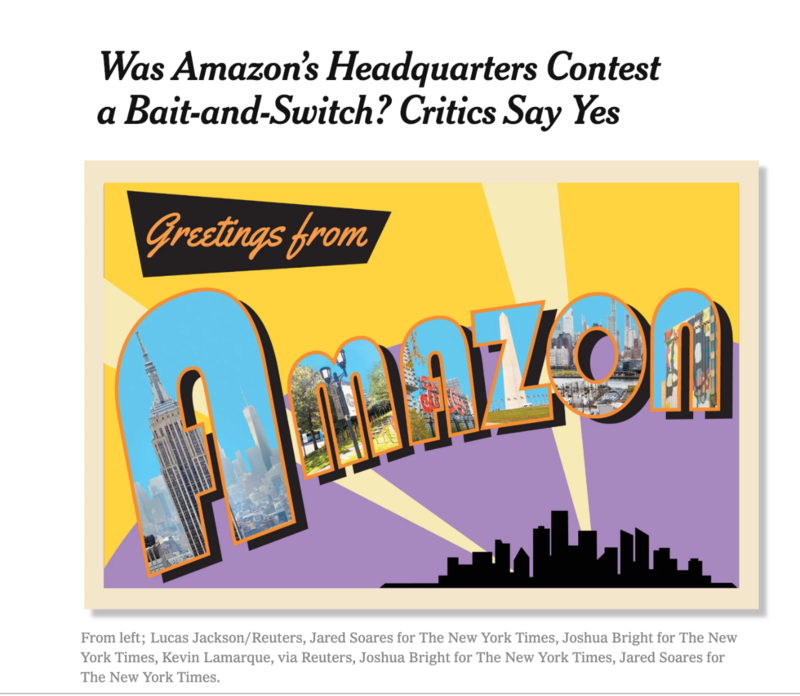 Every acquisition by Amazon or Google or Bayer makes it easier for them to get laws passed in their favor and also easier for them to lobby against Verizon or Comcast for net neutrality. It's easier going against a heavyweight if you're one yourself. I am not convinced that antitrust action will work – they are national solutions to companies that are global by nature. Monopolistic capital weakens the nation state itself and the tragedies of Brexit, Trump and Bolsonaro are signs of the powerlessness of nation states to respond to our networked era. Some of the sharpest conflicts arise when dominant groups face demands for equality from those previously under them. Lynchings became a terror tactic during reconstruction, not slavery. Gender inequality is the oldest form of inequality there is, and a great deal of violence throughout the world is triggered by male anxiety over their changing status and competition for women when there's an imbalance in the population. One of the causes of China's recent assertiveness and soft colonization of parts of Africa is the surplus male population due to selective abortion. What better way to solve it than to ship some of them overseas and to ramp up the nationalist rhetoric back home. Every day we hear about how Republicans deny climate change and how their racism drives their immigration policies. What if the two were one and the same? After all, since they are in power, they are privy to national security assessments of climate change related impacts – more so than the opposition – and shooting at caravans is a rational response for racists under such circumstances. I find the division between climate deniers and science backed progressives useless at best and dangerous at worst. A historical comparison shows why. A hundred years ago, as it became clear that industrial capitalism was here to stay and it was changing societies at breakneck speed, workers started organizing for their share of the new wealth. At that time too, there were “deniers,” i.e., people who denied the rights of workers to organize and protest. In other words, unionize. The deniers weren't really denying the truth of the new system that had come into being; instead, their denial was really an assent of a vicious response to the needs of workers. To be a denier in 1918 (give or take a few years) was to be a backer of fascism via Mussolini and Hitler. Why do we expect this time to be any different? Anyone who sees the world clearly recognizes that massive changes are afoot. The only question is how to react to these changes. The election of Bolsonaro & Trump, the ubiquity of surveillance, the demonization of immigration and minorities and so on are better read as the conservative response to climate change – and world change more broadly – than as a return to some medieval or tribal values. They are reading history as well or better than progressives are; it's just that they're choosing to respond differently. The latest IPCC report confirms what many of us have believed for awhile: Even 1.5° warming will be hard on India and anything higher will be catastrophic. I just don’t see how we are going to stop that from happening. The west is developing systems that will help it respond to the climate crisis – and in my opinion, much of it will be shirking its responsibility for the crisis and militarizing climate response so that they can keep people who are trying to escape calamities out of their borders. There isn’t much I can do about that right now, so I am going to be silent on that issue. However, where I believe we can do something is in imagining, implementing and scaling an Indian response to this emergency. We are ramping up a consumption driven fossil fuel economy just when it’s unsustainable and unjust everywhere and simply suicidal for us. Historically, we are a forest and farm civilization, with reverence towards the non-human world and kindness towards all its creatures. That's one of our great achievements. Yet, here we are ripping open the earth for what, ten more packets of kurkure? 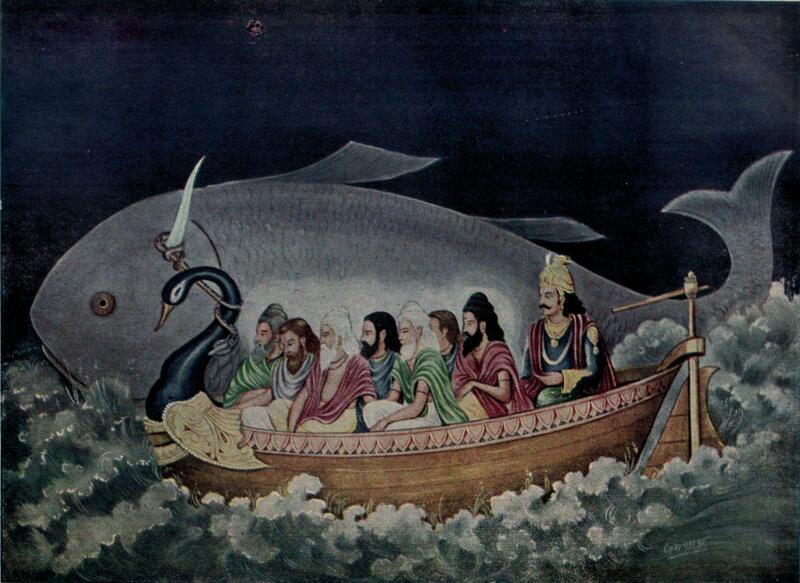 This madness has brought us within a stroke of midnight with Pralaya around the corner. If that's not a wake up call, I don't know what is. I bet Anil Ambani didn't get the Rafale deal because he submitted his tender in triplicate. Nevertheless, while the Rafale story is – inevitably – about corruption, I want to point out an even more dangerous trend towards monumental development. Consider the high speed rail (HSR) deal. We have known for a while that the current prime minister has had a long and fruitful relationship with Japan. One might even go so far as saying that the deal was handed over to Japan because they wanted to prevent corruption in the wake of this deal. As a result, Indian railway train drivers will be trained in Japanese and will have to learn Japanese as a prerequisite for being a driver on these HSR lines. That's not the only problem. The line will be built in standard guage (because that's how the Japanese run their Shinkansen lines), which means that these HSR trains are incompatible with the existing broad guage system. Which means that new and expensive infrastructure such as platforms and junctions will have to built for multiple gauges and therefore fewer of those will be built. Which, in turn, will make it hard to make HSR stations hubs for people who might want to travel from their smaller town to a bigger city with an HSR compatible station. In other words, instead of making in India for X we are taking a loan to make in Japan at 240X. Why? I don't think it's corruption. It's because our idea of development is about monumental dreams, of creating Singapores and Shanghais and Spaceships. A future which has to privatised because public sector enterprises like the Railways (or HAL in the case of Rafale) can't be trusted with this new ambition. Even that would be understandable if it was a future facing dream. Instead it's a dream from the New York world fair of 1964 being passed off as 21st century Mera Bharat Mahaan. Back to the Future indeed. Most people I know have a whatsapp story to tell of that deranged uncle or classmate who simultaneously believes that Hinduism is the religion of peace and nonviolence and that Muslims and other interlopers have to dealt with severely, i.e., anywhere between abjection and annihilation. 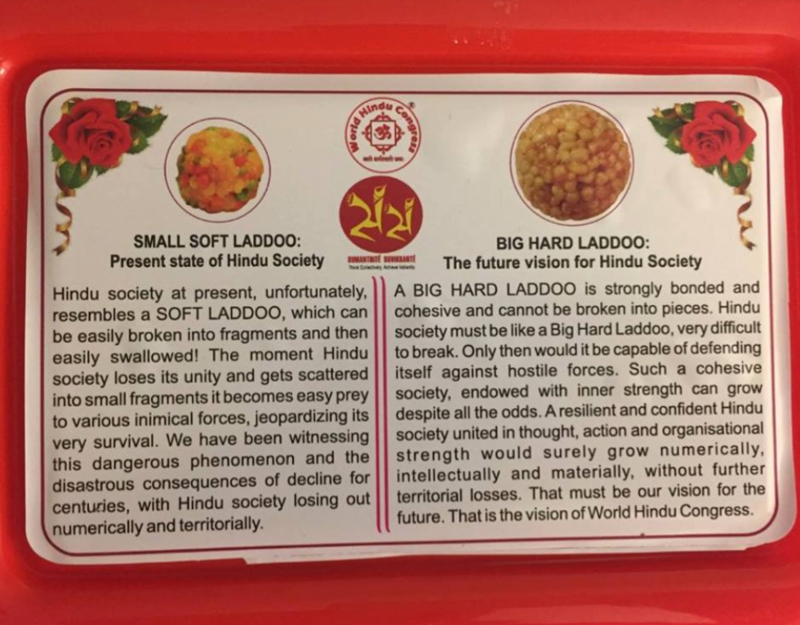 It seems we are soft laddoos who need to become hard laddoos ASAP, but good news is at hand; if press reports are to be believed we are recovering our wilted hardon after thousands of years of softness. Jai ho. Of course, that hardness comes with 56 inch chests, virulent patriarchy and unconcern for anyone whose lot in life is worse than yours. Let's say 10% of the population (an underestimate) has swallowed this viagra of history. Surely the richest 1% is overrepresented in the list of viagra poppers. They own all the tv stations and run all the corporations, so their class interests and their psychological biases reinforce each other. The only things they don't own yet is the state and civil society – I mean they own most of it, but there are still some institutions that continue to protect the subsistence farmer and the migrant labourer. Which is why the subversion of democracy is of paramount importance. Which is why you need to create a surveillance state and invent new categories of treason. Note how both of these are advanced in the name of development. The easy answer is to label these developments as fascism. I don't think so – what we are seeing is an entirely new phenomenon of concentrated control in the age of rapid flows of capital and information. It needs a new name. Meanwhile, Hail Viagra! I can imagine an alternate universe where Indians are like Swedes, stopping at red lights even when there's no one else at the traffic light, keeping passwords to oneself like a bag of Frito-Lays instead of sharing them with family and friends. Unfortunately, we get paid a measly Rs 30 a pop to keep that password secret. Fortunately, 30*N is bigger than any number that god might imagine, so we have been busy sharing that password with anyone who's willing to sit in front of a computer while another person scans their vitals in front of you. Plus, why blame the poor kirana aadhar operator when the masters of aadhar universe think designing a hyper-secure system for a billion plus people is like selling Y2K patches to cost-cutting Amriki companies. The commotion will subside and they will keep collecting more compromised data (in any case, it's a system built to spy on our restive populace than to keep fake outsiders out). Even better, no one will care. Or people start getting upset, in which case the babus and netas can clamour for even more intrusive biometrics – gee, your iris scan and fingerprints are easy to fake, so we are gonna start collecting everyone's DNA from now on. 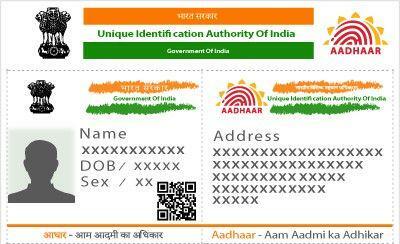 In fact, let me propose Aadhar 2.0, Geneaadhar, where we will collect and store the DNA of every Indian resident and the only way you can get water at the local dhaba is by having your thumb pricked and the blood tested for authenticity. What a great boost that will be to the Indian biotech industry. Plus, it will help us identify all those suspect people whose blood comes from somewhere else in the world.